Effective January 3rd, 2017, Fawn Township has repealed the Per Capita Tax. 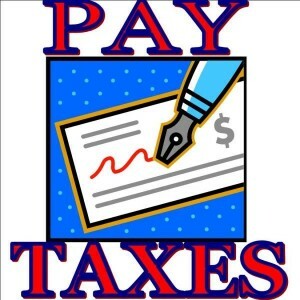 Taxes may be mailed to the tax collector or payable in person at the tax sitting. All checks need to be made payable to ‘Fawn Township Tax Collector’ and not Patsy A. Birley. She offers NO home office hours. Tax payments must be postmarked by the due date to be accepted. Payments may not be submitted to the Township secretary. However, there is a drop off box for taxes installed inside the Fawn Township Municipal Building – 245 Alum Rock Road, New Park, PA 17352. Taxpayers may drop off taxes (sealed in envelopes, ABSOLUTELY NO CASH) in this box during normal Township office house – 8:00am – 4:00pm – Monday – Friday. If you require a receipt, a self-addressed, stamped envelope must be left with your payment in the drop off box. Please remember if you have a mortgage escrow account, to make a copy of your tax bill and mail it to your mortgage company. 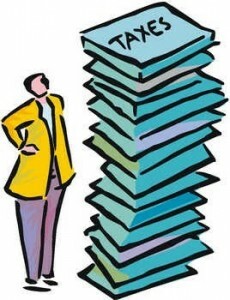 It is not the responsibility of the tax collector to make sure your tax bill is paid. There is a $50.00 charge for returned and/or insufficient funds checks. Your account will remain unpaid until receipt of this charge. All taxes are due to be paid in full by December 31st. After December 15th, only certified funds will be accepted by the tax collector, (cash, money order, cashier’s check, treasurer’s check). Personal checks will be returned. All unpaid taxes will be turned over to the York County Tax Claim Bureau after December 31st. $10.00 charge for each duplicate real estate bill or receipt without bill requested (Resolution No. 4-2017). Hours: Monday – Friday from 8:00 AM to 4:30 PM. The Department of Assessment is responsible for evaluating Residential, Agricultural, Commercial and Industrial properties, and placing market value assessments on them. It is through this department that equitable and fair evaluations are established on all real estate in York County. The Tax Claim Bureau is responsible for the collection of all delinquent real estate taxes in York County and Rollback Taxes incurred through Act 319 of Pennsylvania State Legislature, commonly known as the “Clean and Green” program. Property taxes in PA are based on millage rates set by individual municipalities and school districts. Property taxes in PA vary from one county to another, and one municipality to the next. Taxation is a major source of revenue for most townships. Taxes help to keep roads serviced, schools running, and emergency services available. Residents of Fawn Township receive tax bills in late February for County/Township taxes and the beginning of July for the School District taxes. Both of these bills are payable to the Fawn Township Tax Collector, Patsy A. Birley. Real Estate taxes are based on a millage rate. One mill is equal to $1.00 of tax per every $1,000 of real estate assessed value. The Pennsylvania Property Tax or Rent Rebate Program exists through the Commonwealth offering tax and rent rebates on school/county taxes for seniors age 65+, widows/widowers age 50 and older, and people with disabilities age 18 and older.